There’s something special about connection through common ground. 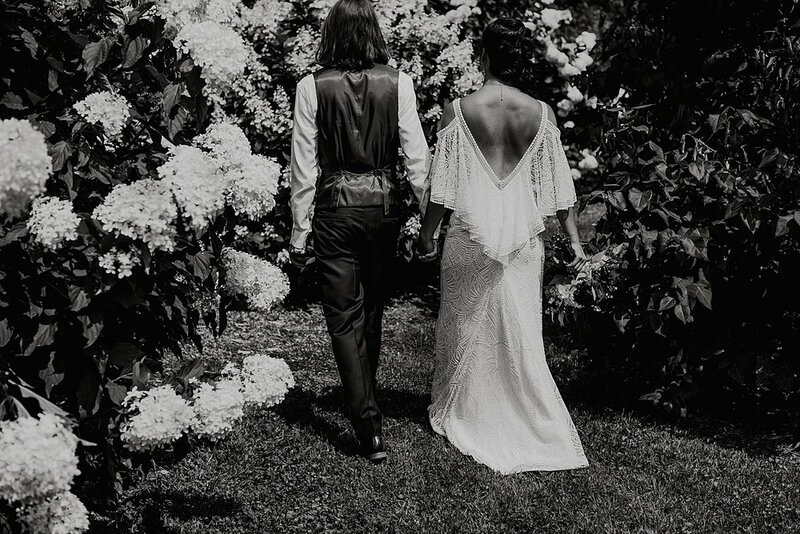 For Esther + Thor, it was the appreciation + respect for the process and my approach to photographing their relationship. It was important to them to establish a relationship and be on the same page. Being creatives themselves, they truly considered what would best represent them and the types of photos that would do just that. 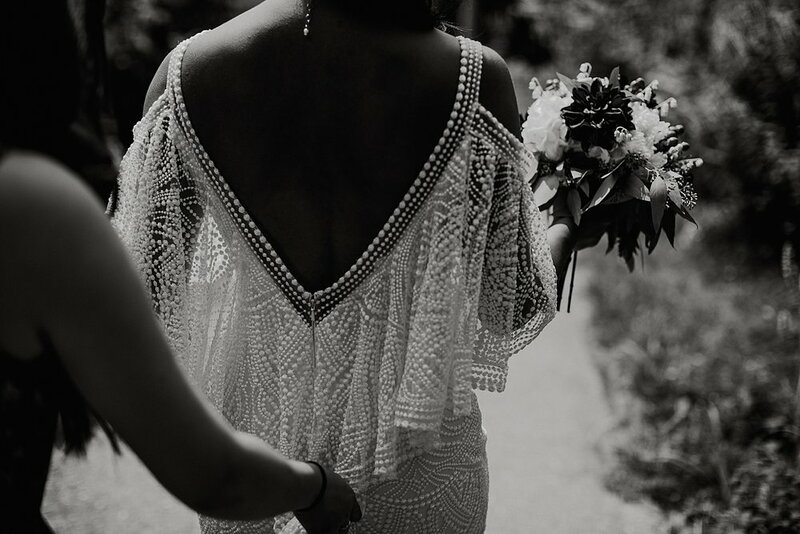 Esther was the first person to say she liked certain types of shots over others after their engagement session and it truly made all the difference in my approach for their wedding. It’s incredibly important to me to know how you envision your day to be remembered -- I want to collaborate and create together, I want you to feel invested in your investment. Esther + Thor invited me to Madison for the weekend to document their story and it was nothing short of amazing. 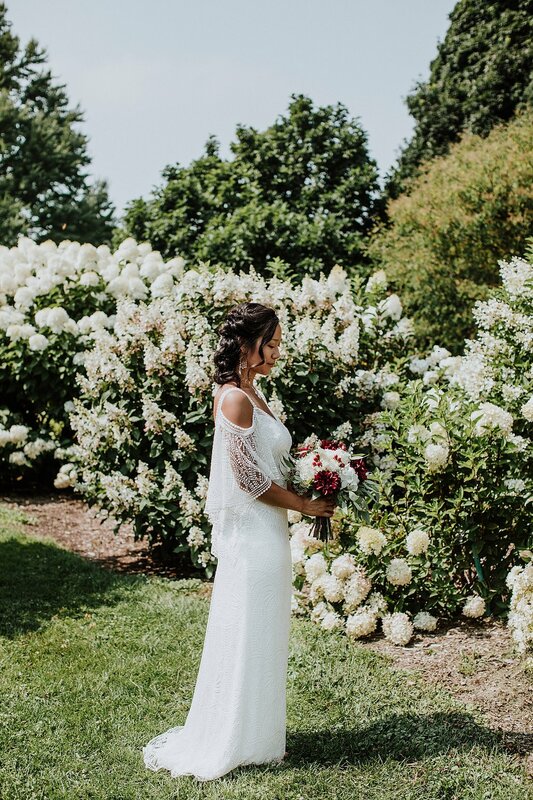 They shared a private first look at the Madison Arboretum, and then we spent a bit of time wandering the gardens taking photos at spots they picked this summer. 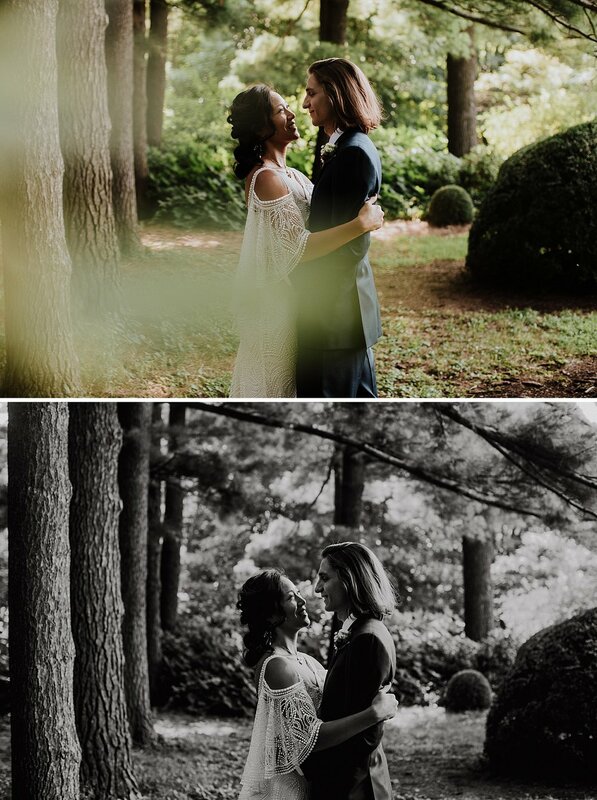 We mixed editorial + artistic with candid + intimate and created some of my favorite wedding portraits to date. 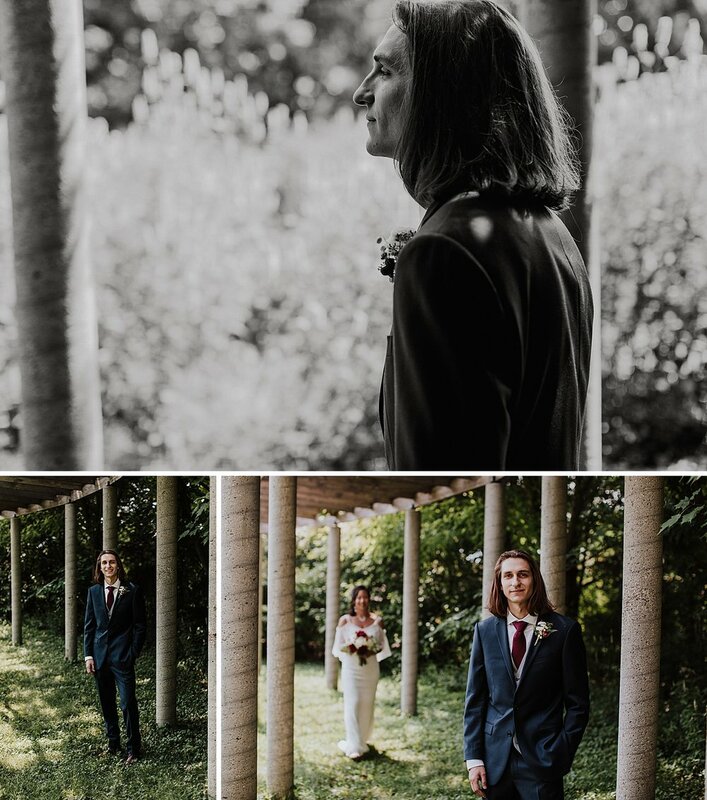 We spent the rest of our time at the garden with family + friends taking photos and enjoying the weather, followed by an emotional + honest ceremony. After leaving in a surprised - decorated car adorned with PBR cans, we continued the evening at Nakoma Golf Club. 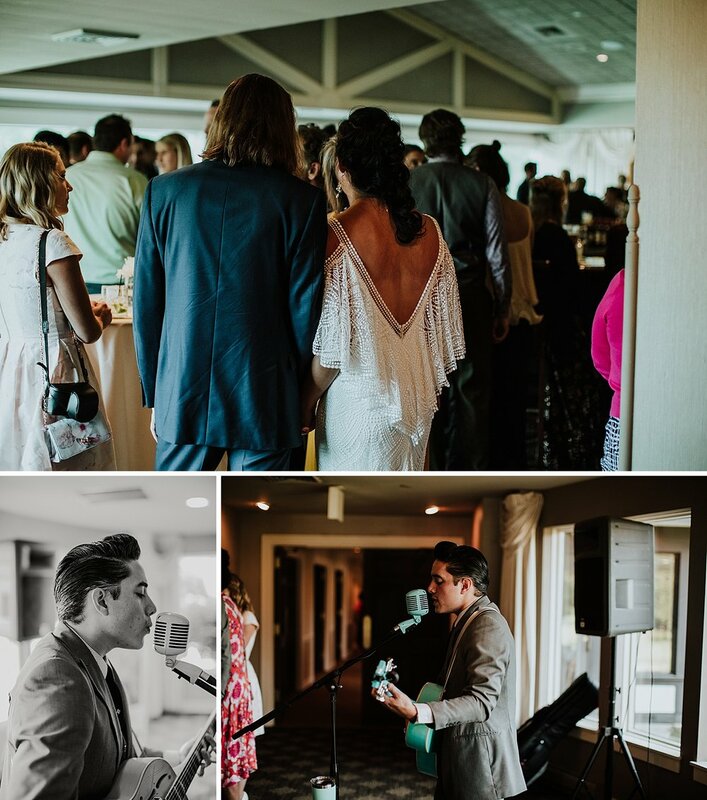 Guests were greeted with live music by Jake’O McCluskey, followed by enthusiastic speeches and wonderful stories, dinner, and golden hour sunset photos. 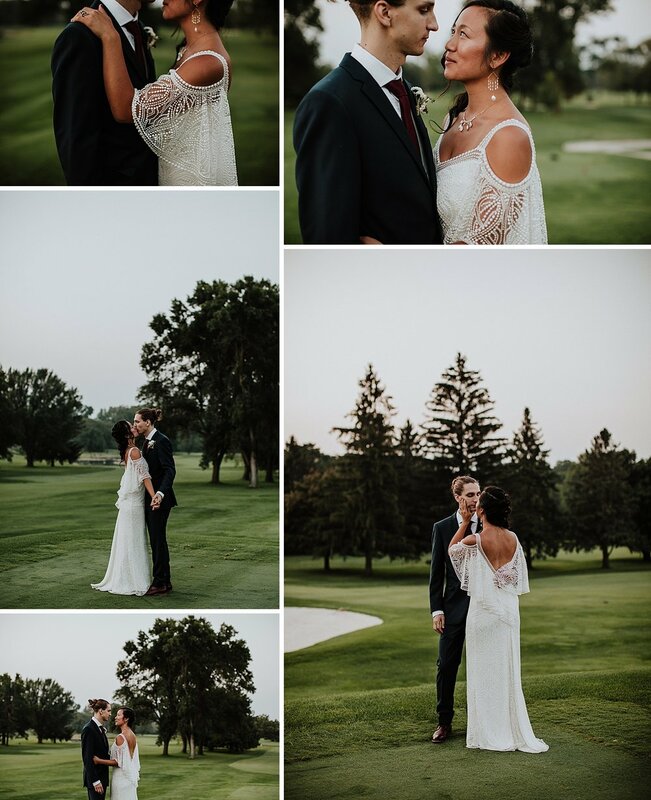 Since the majority of photos were taken at the arboretum, we had to take advantage of the greens at sunset. To be honest, golf courses are some of my favorite places to shoot. Beside the impeccable landscaping, the light is always right. They’re set up so strategically in regards to light that the trees filter it all in such a way that is ideal for photos and way underappreciated. 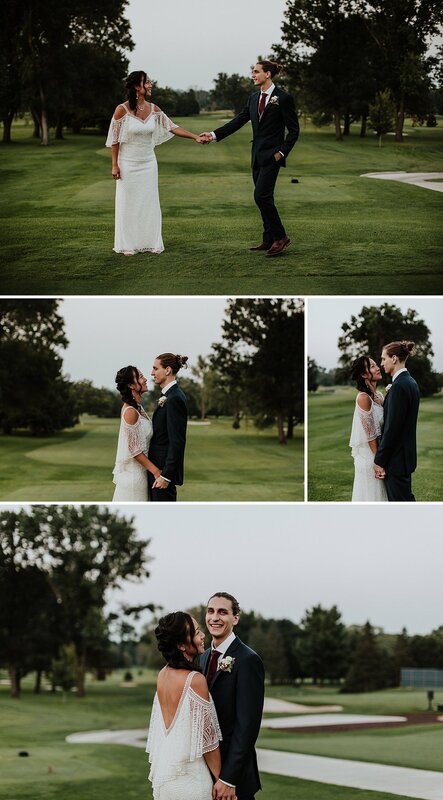 Esther + Thor danced on the green and slowed it down for a few more moments to really soak it all in. The evening continued with first dances and a jam packed dance floor. Typically that would conclude the wedding and I’m off to start the editing process but Esther + Thor invited me over the next morning to experience a traditional Chinese Tea Ceremony. Honoring her Chinese heritage, tea ceremonies are held to show respect and gratitude to the parents, significant family members, and friends. 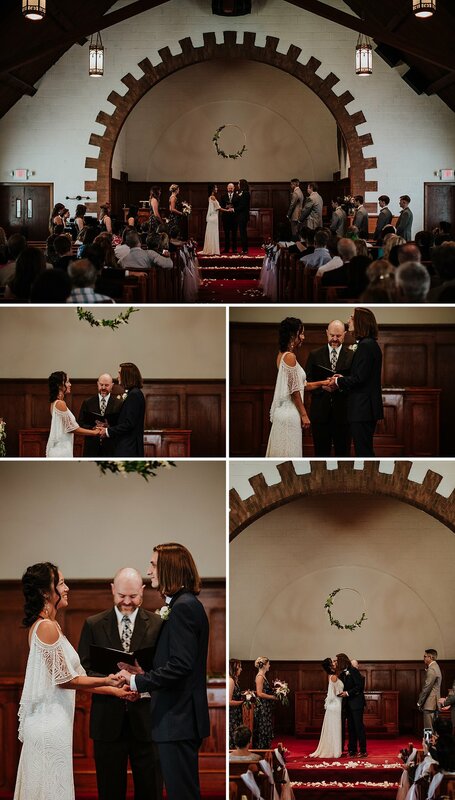 They also represent the coming together or two families and wishing happiness to the new couple. I sat intermingled with their closest family + friends, learned about chinese culture, and enjoyed lunch after with everyone. This was so special to witness and be apart of, and I am so grateful they trusted me to come into their home and document it. Without a doubt these two will thrive and explore and adventure and keep pursuing each other. You can feel it in their presence, the words other spoke about them, and the way they take care of one another. There’s not enough gratitude to give for couples like them and the experiences they provide.